Barbara Mae Hecox Stavrinos, our dear mother, grandmother and GG of Southington, passed away peacefully on her 93rd birthday, March 19, in her daughter Madeline’s home, surrounded by loved ones. Barbara was a master knitter and her family and friends have enjoyed the warmth of many sweaters and afghans made by her skilled hands. She was a great cook and baker and she liked being a hostess for family gatherings and holidays. Barbara had a quick wit and sense of humor and her love of animals showed in the many dogs who enjoyed a wonderful life in her home and even the birds and squirrels in her yard must have been the best fed in the neighborhood. She loved watching the Winter Olympics, especially figure skating, and Dancing With The Stars. 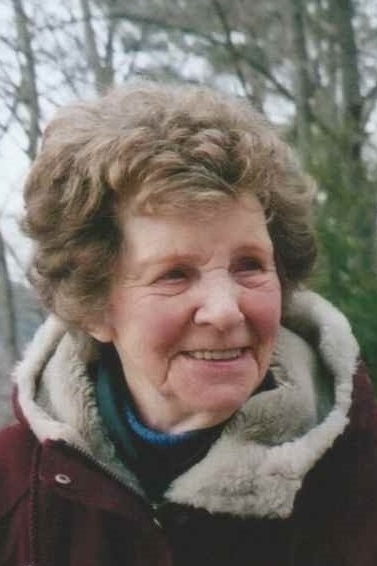 She was a hard worker, an avid walker and a fiercely independent woman. When life handed her lemons, she made pink lemonade. She was born in Ansonia, daughter of the late George and Gertrude (Van Ness) Hecox. She was predeceased by her husband Marcus Stavrinos, daughter Linda Bensie, sisters Dot Mirabelli, Evelyn Valentino and her brother Emerson Hecox. She leaves behind her devoted daughter and dear son-in-law, Madeline and Will de Wildt of Avon, grandchildren Laurie Boucino and her husband John of SC, Sandy Austin Goldstein of Newington, Linda Austin and her husband Kerry Stout of Mexico, Jon Bensie and his wife Melissa of OH. In addition, she leaves son-in-law William Bensie of OH and cousin Terri Nichols of Plainville. She is also survived by her sisters Louise Corning and Janice Dziadik of CT and her daughter Diane Martino and her husband Jack of NJ. The “Gramatriarch” leaves seven great-grandchildren, Ellaina and Daniel Boucino, Jason and Jared Goldstein and Colin, Brayden and Dustin Bensie as well as several nieces and nephews. Loved, admired and respected until the end, she will be missed by many. A special thank you to Tanya, Linda and Susan of McLean Home Care and Hospice, Simsbury, CT. In lieu of flowers, memorial donations may be made to Prevent Blindness America (Preventblindness.org). In accordance with her wishes, services will be private. Interestingly, not only did she pass on her birthday, she passed at 3:19pm on 03/19/19.